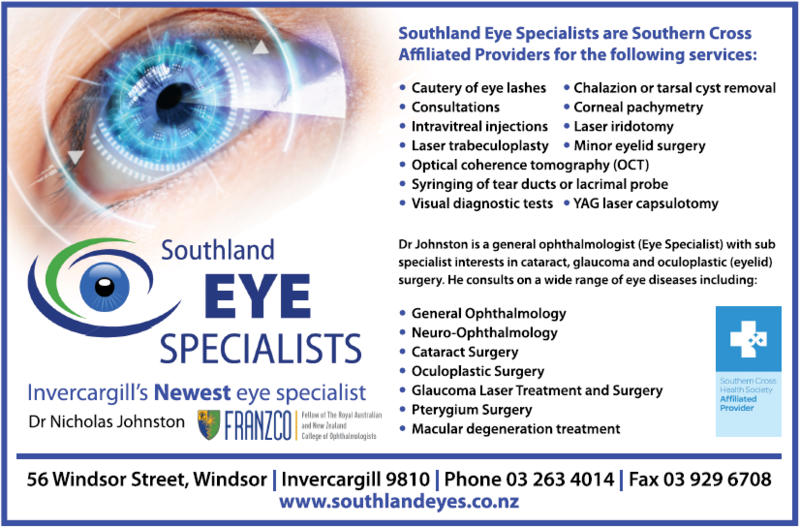 Southland Eye Specialists is Invercargill’s newest Ophthalmology Clinic. Opened in April of 2017, it was set up by Dr Nicholas Johnston and his wife, practice manager Bridget. Nicholas and Bridget returned to Invercargill following Nicholas’s ophthalmology training. Initially working full time in the public hospital, Dr Johnston now consults part time from his rooms in Windsor. Dr Johnston trained at Otago Medical School, before completing ophthalmology training in Dunedin, Rotorua, Tauranga and Christchurch. He then completed a sub-specialist anterior segment fellowship at the Royal Perth Hospital in Australia. This fellowship has allowed him to bring back complex eyelid and glaucoma surgery to Invercargill, as well as continuing to offer cataract surgery and consult on a wide variety of conditions. Dr Johnston has recently completed training in the XEN glaucoma implant, becoming the first certified user in the South Island. He is also using the latest multifocal and toric lenses for appropriate cataract patients. 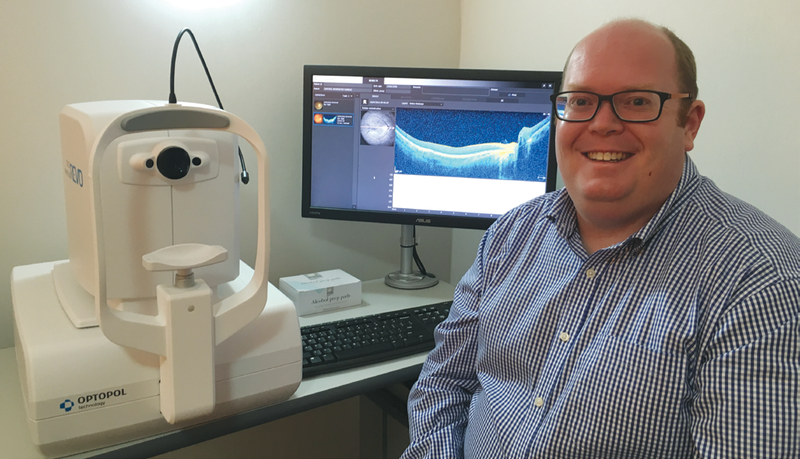 Southland Eye Specialists is the first ophthalmology practice in Invercargill to have on-site ocular coherence tomography (OCT), a machine for looking at the eye’s microstructure. The practice also has on site camera and field machines. It is also the first and only practice in Southland to offer SLT laser for glaucoma treatments.